February sees the return of the Fox Antifreeze to Coed y Brenin. For riders looking to kick-start their mountain bike season the event offers equal doses of challenge and pure MTB grin factor. 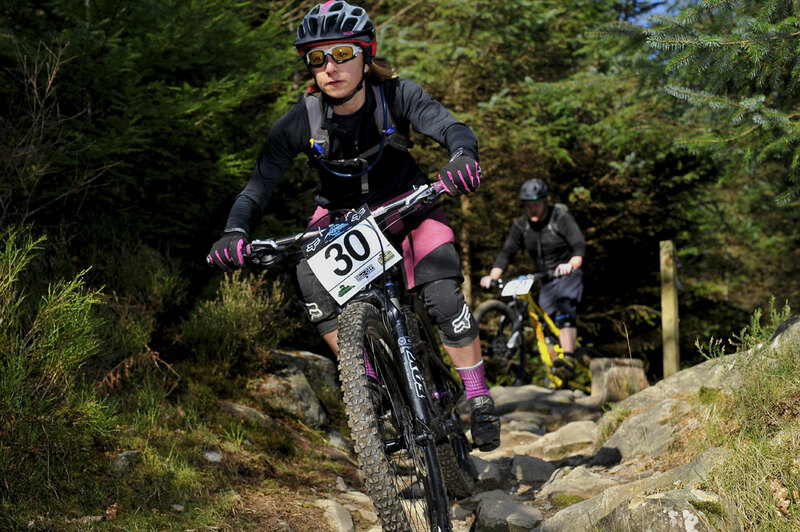 Coed y Brenin makes a superb location for a winter MTB event the event’s staggered start format offering a relaxed atmosphere, with the warmth and comfort of the forests visitor centre with Cafe, showers, changing and bike wash all within yards of the start/lap/finish area. 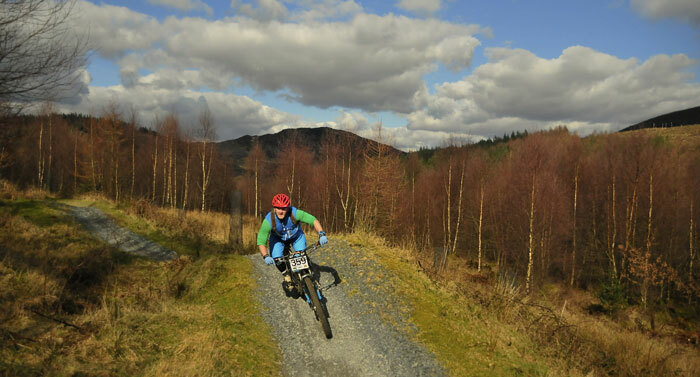 Coed y Brenin is back on the radar of many riders right now. A renaissance for the UK’s first and most celebrated trail centre is no surprise given the fine selection of trails on offer in the forest, add to this the fact that Coed y Brenin is capable of delivering superb riding in all weather and at any time of year, add to this a visitor centre that provides an extremely warm welcome with cafe, changing and bike wash and you’ve all the right ingredients for a great weekend of mountain biking. 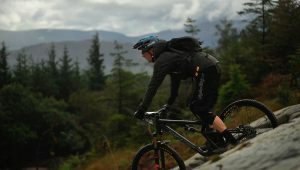 It’s oldest way marked trail has recently seen the opening of an exciting new section Y Slab (The Slab) which is drawing interest with riders returning to attempt this new challenge. 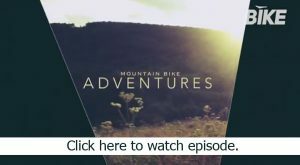 The centre was also recently visited by Andrew Dodd and Anna Glowinski for The Bike Channel’s Mountain Bike Adventures show which can now be watched online, the show provides a taste of what the forest has to offer for those who have yet to sample its delights. The Antifreeze is Dyfi Event’s winter Coed y Brenin event and has for it’s previous 2 years sold out it’s 350 available entry spaces. The format of the event is a timed lap endurance challenge on a route made up of a hand picked selection of the forest park’s best trails. The combination of the forest’s tree cover and all-weather mountain bike trails give the event the best possible protection from the worst the winter has to throw at us. However, so far in the event’s short history the weather has been kind to us affording mostly dry trails and some spectacular views. Last year, Dan Hearn covered the event for pinkbike and did a great job of capturing the flavour of the event, you can ready the full article and enjoy Dan’s great images on the link below. The event provides a great opportunity for riders to get a head start on the season’s riding and fitness with riders able to choose a distance (1, 2 or 3 laps of the 12.5km course) that best fits their fitness goals. Better still, they don’t even need to decide before the event, riders simply attempt the number of laps that they wish and our timing system will allocate the appropriate distance. Another aspect of the event that many riders enjoy is its staggered start format. The timing system reads rider departures individually so every rider has their own personalised start/lap/finish times. This means it’s easy to ride with friends making for a really relaxed and sociable event. Riders assemble in the start corral when they are ready and are fed onto the course by a starting marshal. This dramatically reduces bottle-necking on course, allowing us to include more of Coed y Brenin’s fine singletrack for your enjoyment.